Oscar Niemeyer’s letter to Lina, which reminds us that the most renowned Brazilian architect was actually exiled from his own country between 1967 and 1980, was written after he visited MASP for the first time on October 16, 1987, actually nineteen years after the museum opening. Intriguingly enough, this brief letter is a part of a kind of pop-up exhibition at the Instituto Bardi-Casa de Vidro to celebrate the 50th anniversary of the museum. 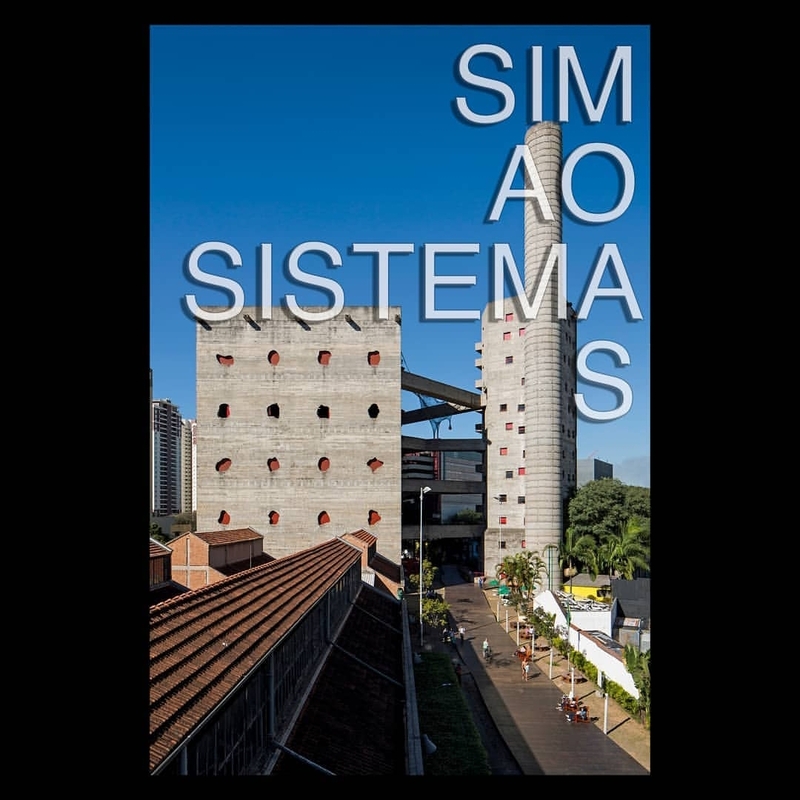 Jointly with the exhibition, a seminar involving several international Lina scholars—including Zeuler R. Lima, Olivia de Oliveira, Barry Bergdoll, and others—as well as Lina’s former collaborators Marcelo Ferraz and Marcelo Suzuki, has been organized by MASP. A holistic outcome of the joint work by architect Lina Bo with her husband, director Pietro Bardi—whom the historiographical recovery is urgent by now on, after the international success finally achieved by sometimes even mythologized Lina—MASP is a masterpiece developed through a series of experimental articulations, starting from the so-called MASP Sete de Abril, installed by Bo & Bardi since 1947 in the Diários Associados newspaper headquarter. Among MASP references, it is worth mentioning the Museums without limits conceptual framework by Pietro (1946), later continued by Lina in 1951. Officially begun in 1957, the MASP project waved up and down through phases across a series of significantly exciting side-works carried on between 1959 to 1964, when Lina met Afro-Brasil in Salvador de Bahia, to finally develop a pioneering research beyond Eurocentric Modernism. Sponsored by media tycoon Assis Chateaubriand, MASP was conceived to be the most important art museum—for Art to mean Western Art—in Latin America. Within a military-run Brazil, MASP opened on November 7, 1968, by the hands of the greatest heir of colonialism, H.M. Queen Elizabeth II of Great Britain, on the occasion of her official visit to Brasil; this happened in the closest eminence of the dictatorship, for the AI-5 (Institutional Act no.5) issuing several human rights restrictions dating December 13, 1968. 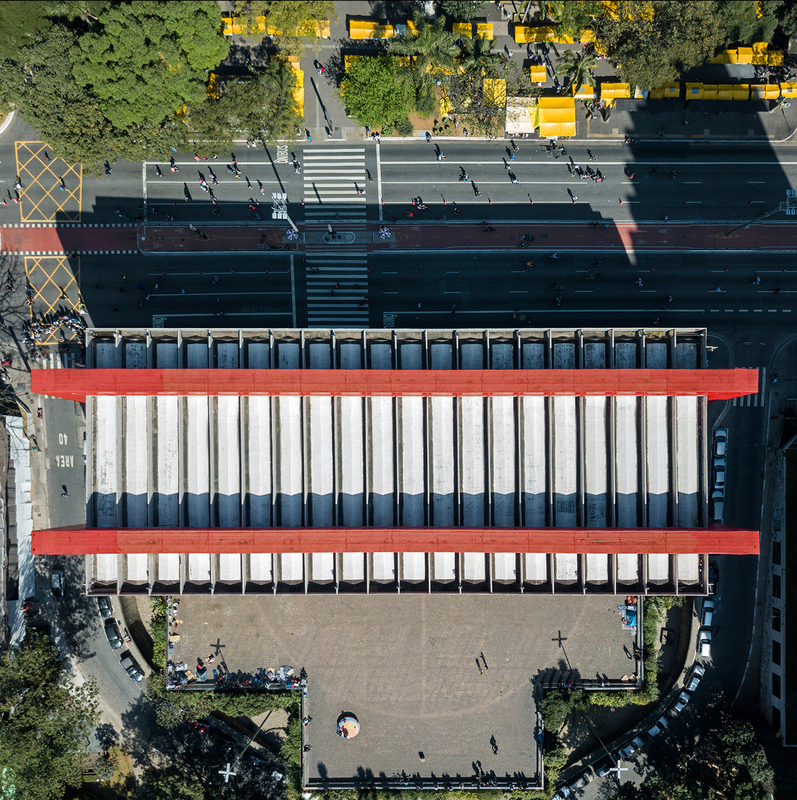 Today one can still perceive the strong contrast between the suspended box along the Paulista Avenue—unanimously recognized as an International Modernist legacy—and the immersive interior landscape, for the glass easels’ groundbreaking display to mix artworks and visitors into an innovative “democratic” environment. This latter may even evoke the “un-linear timeline” of which Lina wrote, arguably a critical link with artworks belonging to the other side of the Ocean. The remarkable visual connection between the inner museum display and the city outside is one more of Lina’s valuable contributions to shift from the modernist “white box” museum that was starting to be code-designed at that time, and to a new site-specific perspective. Technically, thanks to the collaboration of engineer José Carlos Figueiredo Ferraz, MASP consists of a prestressed (reinforced) concrete structure—as for instance in the Morandi Bridge of Genoa (Italy) but, unlike that, today carefully monitored thanks to the “Keeping It Modern” project granted by Getty Foundation. It is reasonably no coincidence that—behind the title borrowed from a famous song by Gilberto Gil—the exhibition “Infinito vão [Infinite Span] – 90 years of architecture in Brazil” presently at Casa dell’Architettura of Matosinhos in Portugal, today recognizes the MASP public space with a 70-meter span invented by migrants couple Bo & Bardi as a crucial issue belonging to Brazilian architecture DNA. While a new book—actually authored by Daniele Pisani—is announced to unveil some new issues about MASP, it is time to see whether the hope for Brazilian museums to become centers for the promotion of democratic values—according to a written side-thought by curator Fernanda Brenner after visiting a MASP exhibition—will turn real after recent elections brought one more far-right fellow to run the country in Brazil.